It’s been 150 years since the Battle of Gettysburg turned the Civil War and our history. A new book takes a soldier’s-eye view. We put you on the battlefield. One hundred and fifty years ago today, Union and Confederate troops were in the belly of the Battle of Gettysburg. In the second of three days of terrible fighting. Lined up along Seminary Ridge, Little Round Top. Pickett’s charge was yet to come, and fail. The Union would win. And Abraham Lincoln would come and pronounce a new birth of freedom - proof positive that Americans would die and triumph for democracy. They’re re-enacting today on the battlefield. And we’re talking about the most famous battle of the Civil War. This hour On Point: Gettysburg, at 150. Allen Guelzo, Professor of the Civil War era at Gettysburg College. His new book is "Gettysburg: The Last Invasion." David Blight, professor of American history at Yale University. His latest book is "American Oracle: The Civil War in the Civil Rights Era." Gary Gallagher, professor of history at the University of Virginia. His new book is "Becoming Confederates: Paths to a New National Loyalty." Kyle Wichtendahl, reenactor at the Gettysburg battle reenactment, where he serves as aide-to-camp for the commanding Union general. He's been involved in Civil War reenactment for 10 years. 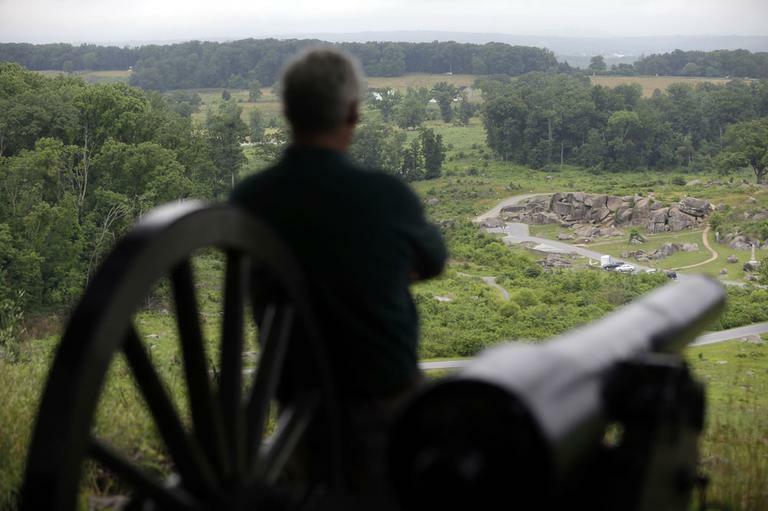 Yahoo News: Debunking the Myths of Gettysburg, 150 Years Later: Historian Allen Guelzo — "For something that happened 150 years ago, the Battle of Gettysburg still generates its share of controversy. And myth, according to historian Allen Guelzo, 'grows like weed out of controversy.'" The Atlantic: 150 Years of Misunderstanding the Civil War — "In early July, on the 150th anniversary of the Battle of Gettysburg, pilgrims will crowd Little Round Top and the High Water Mark of Pickett's Charge. But venture beyond these famous shrines to battlefield valor and you'll find quiet sites like Iverson's Pits, which recall the inglorious reality of Civil War combat." Washington Post: Reenactors swarm Gettysburg for tributes to Civil War’s turning point -- "Don Husler was sitting in the shade with the rest of the grimy Yankees, seeking respite from the heat and awaiting the Confederate onslaught, when two quick cannon shots boomed." This program aired on July 2, 2013.